The Core Cotton series offers cushioned cotton comfort with excellent moisture management, reinforced heel and toe and arch support. 6 pairs per package. 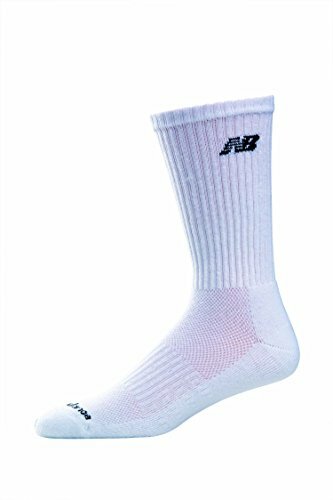 NB DRY moisture management technology quickly moves sweat to keep feet cool and dry. Cushioned foot bed designed to minimize shock absorption.